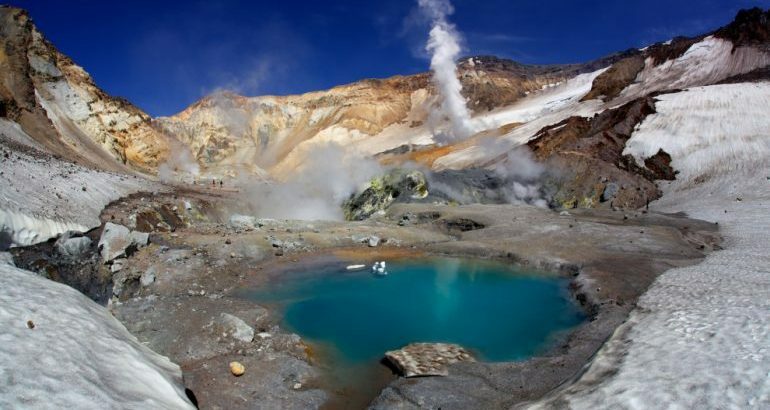 Dachnye hot springs are located 1 km east of the pass between the mountains and rocky bimodal, 9 km to the north of the volcano Mutnovsky. 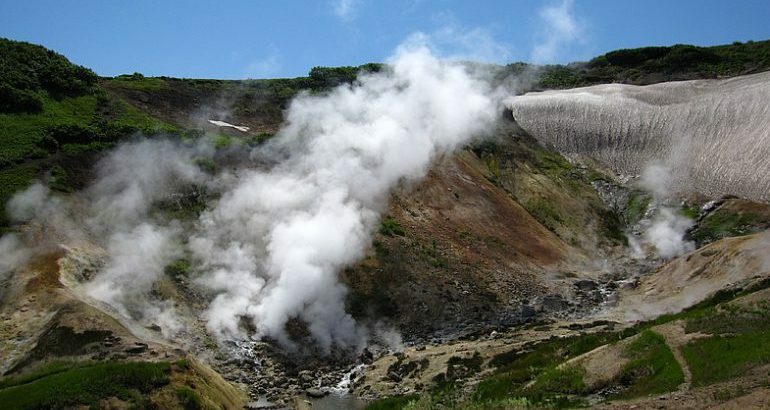 Thermoexhibitings scattered on steep slopes and a wide band can be traced for over a kilometer, thus clearly distinguished 5 groups of springs and steam jets, the most powerful of which is active (boiler) is located at the foot of the dome in the round basin with steep walls up to 30 AM in thermoexhibitings a steam jets, boiling boilers and hot springs occur on the walls of the basin and on the bottom. There are more than 100 large and small steam and gas jets. Other groups thermoexhibitings Dachnye field (Duck, Bear, and others.) Are spread on flat, partially swampy areas. 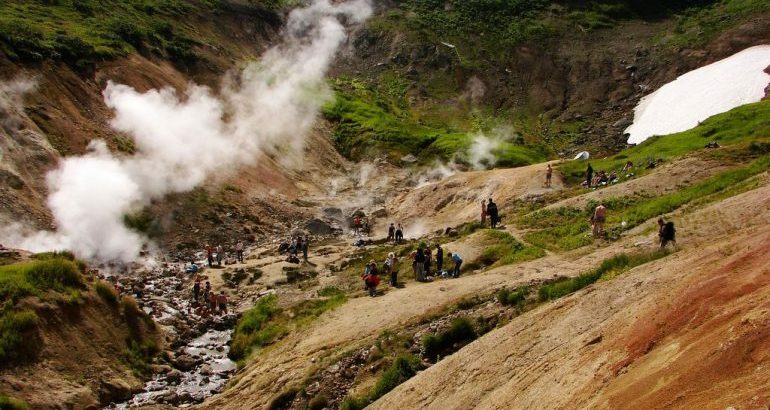 Next, after a visit to the hot springs will follow your route to the upper valley Viluchinskaya, where it will be necessary to go a little bit up in the lower reaches of the rocky ledges. 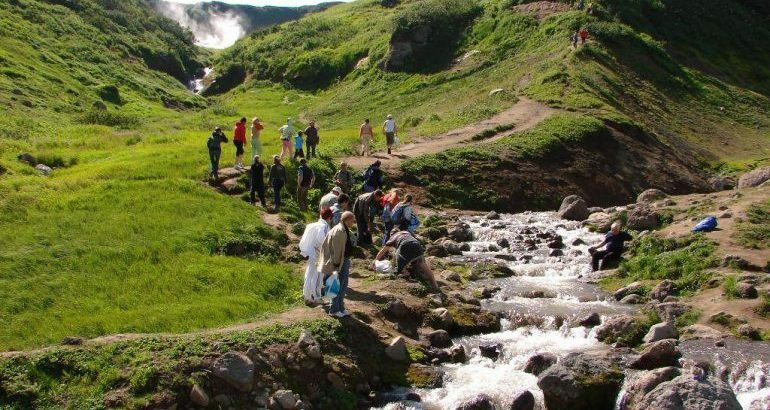 Your eyes will be submitted to a beautiful waterfall called «Quiet», located on the same stream, which originates on the slopes of the volcano caldera burned and further flows into the river Vilyuchi where downstream is the waterfall itself. The height of the water drop is 17 m and the width of the incident flow of 6 m. It is also a special beauty waterfall gives the steep rocky shores, where almost vertical slopes rising stone birch. Observation platform Viluchinsky pass. At this place in good visibility you can see at a glance 7 volcanoes, namely Vilyuchinsky, Koryak, Avacha, Kozelskiy, Mutnovsky, Burnt and volcano Opala. 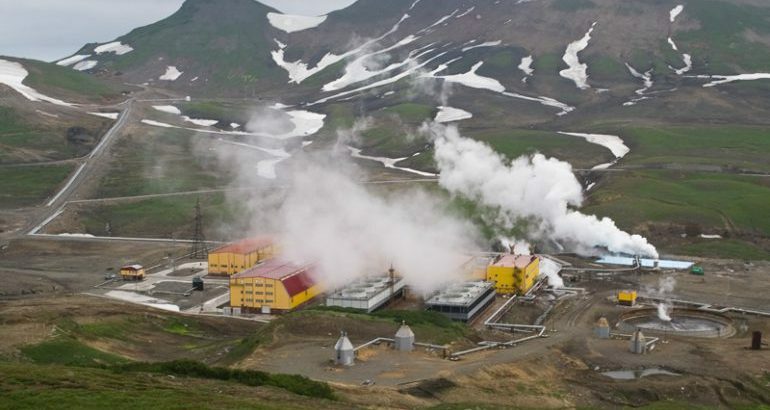 — Arrival Mutnovsky Geothermal Power Plant. Walking about 30 minutes, the duration of the route. Inspection fumarole site. Go to Dachnye thermal springs, bathing in the springs, return to parking lot. Dinner. — Inspection of the waterfall. Hike from the parking area takes about 20 minutes. Number — of tourists in the group: 3 — 6 people. Price of the tour: 6 500 rubles from the 1st person. It is necessary to have: water-resistant jacket, trekking shoes (preferably water-resistant), headwear, hair accessories Gloves x / w, sunglasses, protective sun cream, insect repellent (protection against blood-sucking insects), photographic equipment. It is important to know! If weather conditions are unfavorable for the tour, it may change the planned route, including the date and time of departure.